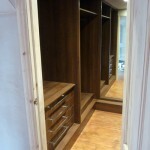 The walk-in wardrobe was part of a project to take an existing loft conversion of just one room, and create a separate bedroom, with ensuite and walk-in wardrobe. 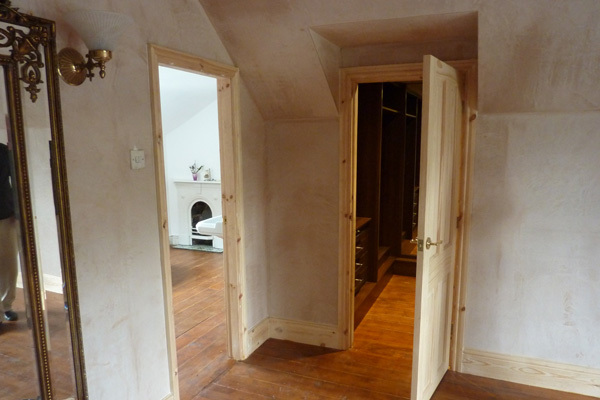 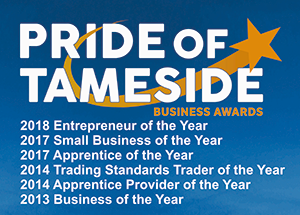 Taking care of all aspects from the joinery, plastering, installing a velux window and even painstakingly sanding and treating the wooden floor. 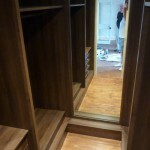 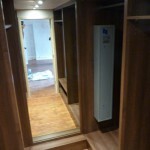 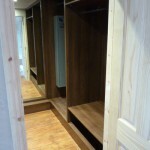 The walk in wardrobe has a feature length mirror, drawers, hanging rails and sensor lighting. 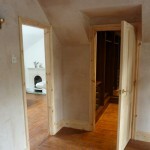 Ensuite, Bedroom and main bathroom adaptation (taking a bath out, matching tiles and replacing with a walk in shower).